Mint Leaf Indian Cuisine is an Indian restaurant located in Pasadena, CA. Food was great. The tables are way too close together. Felt like we were sitting with a group and we couldn’t have a real conversation. Had a great dining experience today. Food was phenomenal. Had the chicken tikka, lamb vandoloo, and saag paneer, basil and cheese naan, and garlic naan. The server was attentive and timely. The host was also made sure everything was fine. Fantastic food, fantastic service provided by Jaimie. The "spice level" to order every time! Basmati rice and Naans second to none in the SGV area. I drive out of my way to go to Mint Leaf. The food is excellent. There are more options and more flavors than at other Indian restaurants I've gone to. The flavors in each dish are very distinct. I love all the different curries. The only reason I put a 3 for service is because service was a little slow this time. I realize things were busy but there were long gaps of time between our waiter's visits. We were going to order desert but didn't have enough time. Staff is very friendly, however. I'm definitely going back. Even though we ordered the food mild, it came very hot, spicy. We ordered a vegan appetizer and it came with a sauce made from dairy. One of the people in our party has dairy allergies. It was an amazing lunch. All the food was great, best I’ve had in a long time. But that vegan mango lassi was the best!!!! Wonderful service and lovely restaurant. Great service and excellent food. First time to dine there after driving by for month. Glad we finally made it in. Friday night reservations are a must! In love with their food!!!! The food was good but we all thought it was a bit pricey compared to other Indian restaurants in the area. The menu was innovative, especially all the options for naan, but for people who are not fans of curry or ginger there were not many choices. There were also many traditional dishes that were not on the menu. Our server was extremely friendly and helpful. Mint Leaf is a good option for Indian Food in north side of Pasadena. Service was very good. Food good to very good. Nice feel. Wonderful creative fresh Indian food. Unfortunately, it's almost too popular to enjoy. We were lucky to arrive early (6pm) for our reservations on a Saturday night (don't even THINK about trying to walk without one!) and got sat within 5 minutes. However, during the entire dinner crowds kept flowing into the restaurant with nowhere to wait and started forming a line inside the restaurant itself. Then a party of 8 got sat next to us within inches. You simply can't hear yourself think in this kind of ambience let alone have a private conversation. It's too bad because the food is really wonderful (Lamb Biryani, fried shrimp, Naan, seafood platter all fantastic). I think they need to expand or open a second restaurant! If you love their food just do DoorDash. Our group of 7 had excellent food and service at Mint Leaf. The waiter was knowledgable and kind. The table and seating were so comfortable we didn't want to leave. The food was superb. Mint Leaf’s masala sauce is the best I’ve ever tasted, and everything else is great also. So tasty. Definitely the best Indian food in Pasadena. Service very good also. This was our first time at the Mint Leaf. The food was excellent. I am craving it now! As good as the food , was, I must say the service was as good. Our waitress patiently explained the menu, was delightfully friendly and served us in a timely manner. Oh! and the water was cool and refreshing with a slight hint of mint and cucumber. Great food and nice service. Best curry in town. Wow, this place is amazing! Beautiful interior design and flavors very authentic. I have eaten here many times and it's always delicious. The food is flavorful, well presented, and you can select your level of heat. Love the tandoori mushrooms as a starter. You can't go wrong with any of the dishes, but the chicken tikka masala is definitely a traditional favorite. The room is beautiful, and service was welcoming and attentive. There are several reasonably priced wines by the glass. Overall a wonderful restaurant, that I highly recommend. Cold rainy night, but did not stop someone from bringing their loud screaming child to the restaurant. We had a wonderful time an excellent drinks appetizers and dinner; Everything was perfect. I will come back and enjoy it all. Bernice was so friendly and professional. Possibly the most delicious food on Earth! Good food, good value. Mu only complaint is that it took a half an hour to be seated for our 7 PM reservation. The service is always second to none. A bit chilly when customers come through the door (frequently). You might bring a sweater. Food is great. 10 levels of spicy, so something for everyone. You may need to come several times to experiment. The help is always helpful, friendly. Food comes out fast. Great neighborhood place. Good food brought quickly to out table. Waiter was friendly and helpful. Last Friday we were finishing up our meal had asked for the check, paid and were just getting ready to leave when our waitress came across and asked us to leave because they need the table !!!!!!! To say we were shocked and taken aback was an understatement! Both of my friends thought the tone and delivery of the message was far to blunt and to be frank, rude ! We get you need to turn the tables over but a simple question, ‘ excuse me, is there anything else we can get for you?’ Would have been enough of a prompt for us to finish up. A little more care and attention to customer service is definitely required ! This is a quaint little restaurant with exceptional food and ambiance! My favorite place in Pasadena. Love it! The food is great and portions are very generous. One of my neighborhood favorites! Delicious Indian food... at whatever level of spiciness suits you. Food was delicious and came on time; water glasses were filled regularly; our table was a little close to the one next to ours so I felt like other people were listening to us- restaurant is a bit small. Love the food, great atmosphere. My only gripe is that our food was mild. We ordered 7/10 on the spicy scale and there was no heat. On a previous visit, I ordered just below Thai hot, when they had a 1-5 scale (if my memory serves me) and I almost died of spice. I recommend really asking about the heat scale because obviously, we didn't understand the scale well enough to get what we wanted. The flavor is amazing, and in spite of not being spicy hot enough, the flavor was incredible! Every dish at this Indian restaurant is wonderfully delicious. 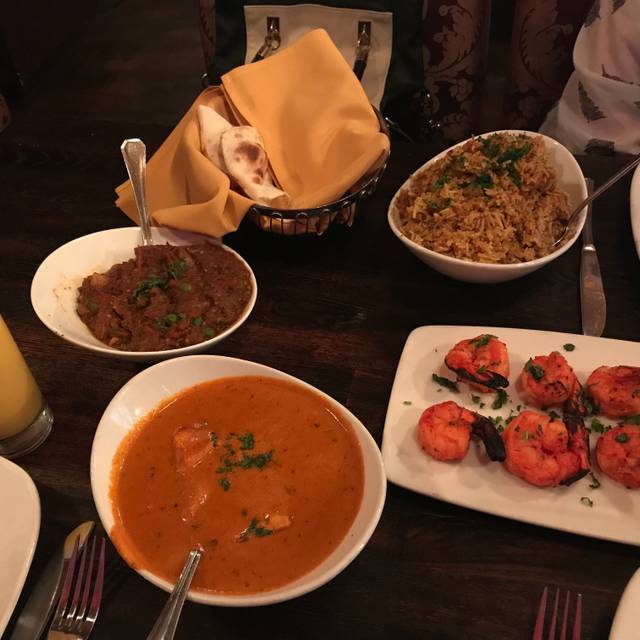 Service is great and the staff are very friendly, helping to guide people unfamiliar with Indian cuisine on flavors and spiciness. They are always crowded and will soon need a second or larger space. I recommend reservations because it is so busy. 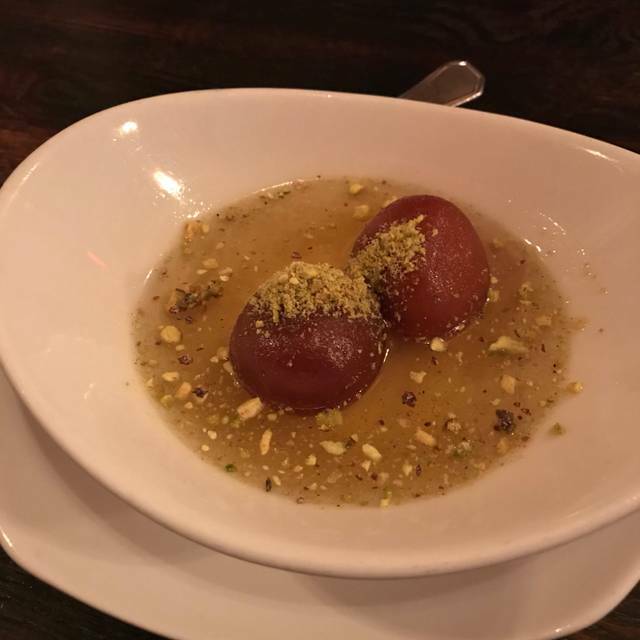 We’ve been regulars to Mint Leaf for quite some time and every single visit is as good as the prior. Even though we moved to Covina recently, we still take the drive to Mint Leaf whenever we crave Indian food. Kudos to Santos! He is the best! I literally drive from Rancho to eat here...it's delicious! Great food, service and atmosphere. Staff is friendly and very attentive. This was our second visit and we brought friends for their first. They thoughly enjoyed the dining experience as much as we did . Highly recommend making a reservation. We will be back soon. 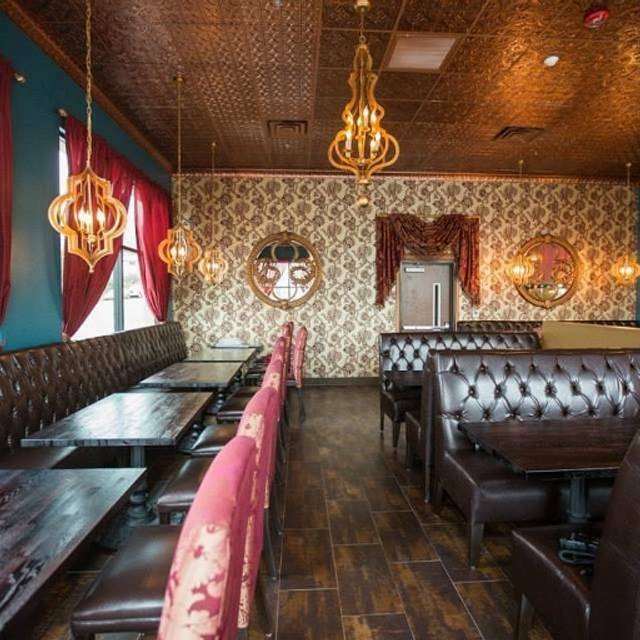 We were hungry for Indian food and found good reviews of Mint Leaf so we gave it a try. It was New Year’s Eve and very busy but the staff was great so I don’t think anyone minded waiting to be seated. Given how many people were there, service was excellent and the hostess and waiter were smiling and conversant. We didn’t feel rushed and enjoyed back and forth banter and the food was delicious! Definitely going back.